What a great new spot to get our pump on! Shout out to the Berry’s – place is awesome!! Thanks Nicole for the jams! Great class! Yay glad to see the new gym!! Was going to do a whole different wod but was quickly running out of time after trying to walk out a mile route! Completed the 1 mile run and route and wod quickly changed after passing by some sketchy guy sitting on his front porch…sooo will be walking out another one this week! Thanks for the push Steph!! Thank you for counting me Natalie! You’re the best! 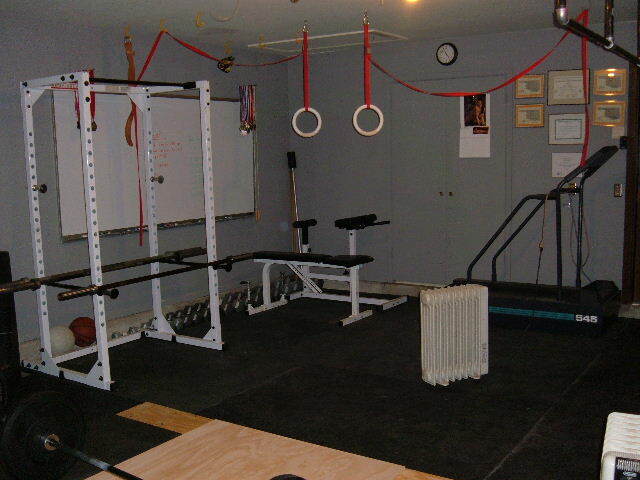 I remember that garage gym!!! It’s been a long journey from then to now! Breck and Nicole have worked so hard and made so many sacrifices! Love the new gym…third time charm! Love the new place Nicole and Breck!! !